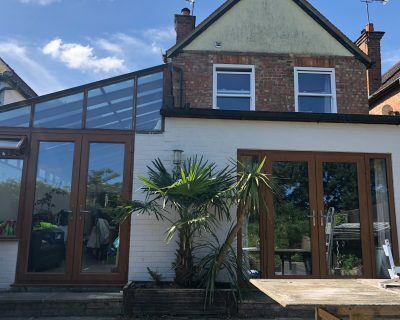 Create an elegant and airy connection between your Surrey home and the outdoors! 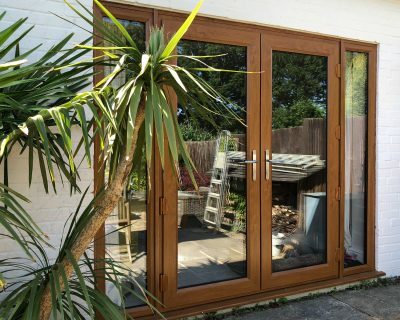 We supply and install a wide range of French doors. From composite single French doors to aluminium French doors, our range can be customised to meet your requirements and match your home’s character. 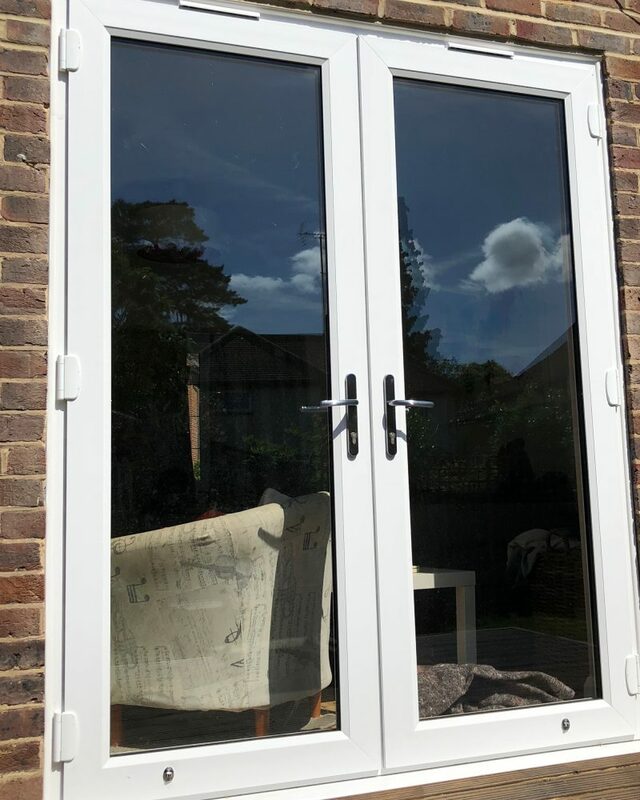 French doors can be installed anywhere in your home; entrance, conservatory, patio, decking, garden access, porches, summerhouses and garden offices. 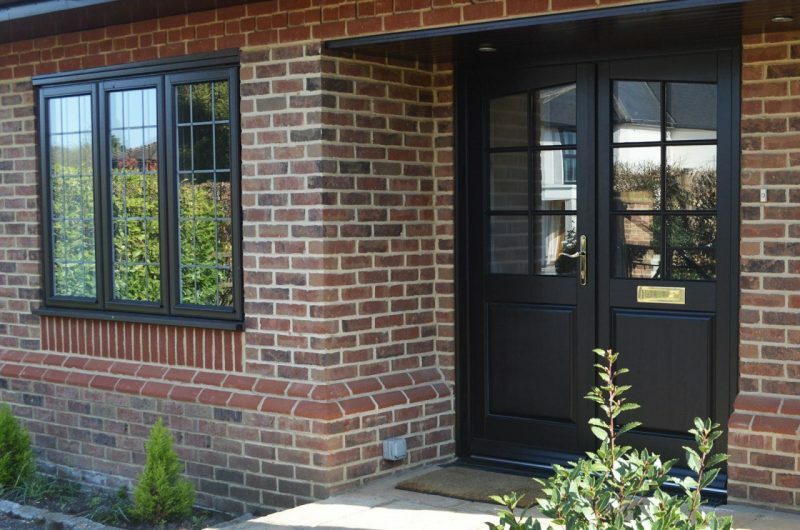 We have extensive experience in door installation. With over four decades in the industry, we have built a solid reputation with our customers. We offer a 100% satisfaction guarantee and are well known for our customer care and after-sales service. 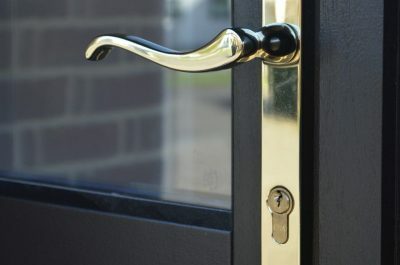 The latest innovations in door technology. The classic, two-opening-pane styling is very practical; allowing easy access to the garden or for giving a light, airy and open feel to your home on warm, spring day. 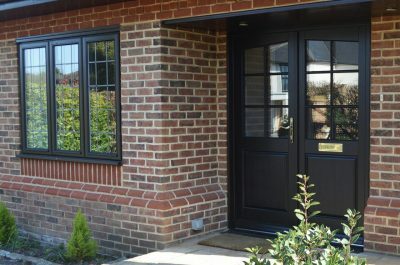 These doors can be styled to suit traditional homes with Georgian bars or leaded glass. All French doors can be customised for modern homes too. We can create bold-coloured frames or apply a woodgrain effect. 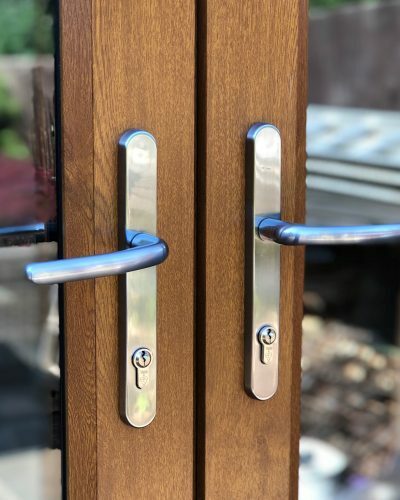 Aluminium – single or dual colour options, polyester power coating and anodised finishes. Available in single or double door configurations. 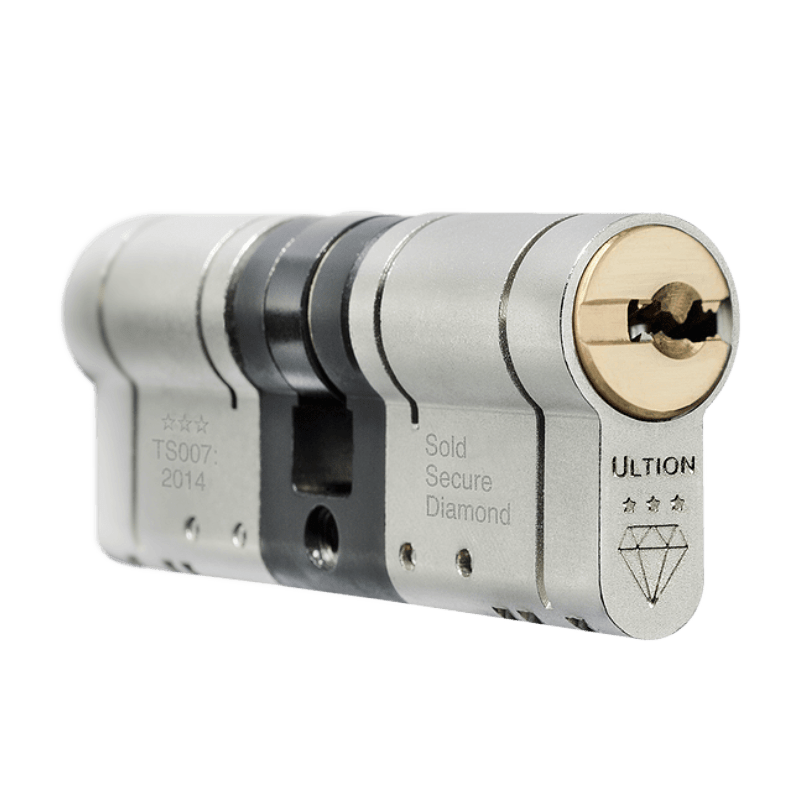 Fitted with a multipoint locking mechanisms and cloaking features to conceal locks and prevent access to locking points. 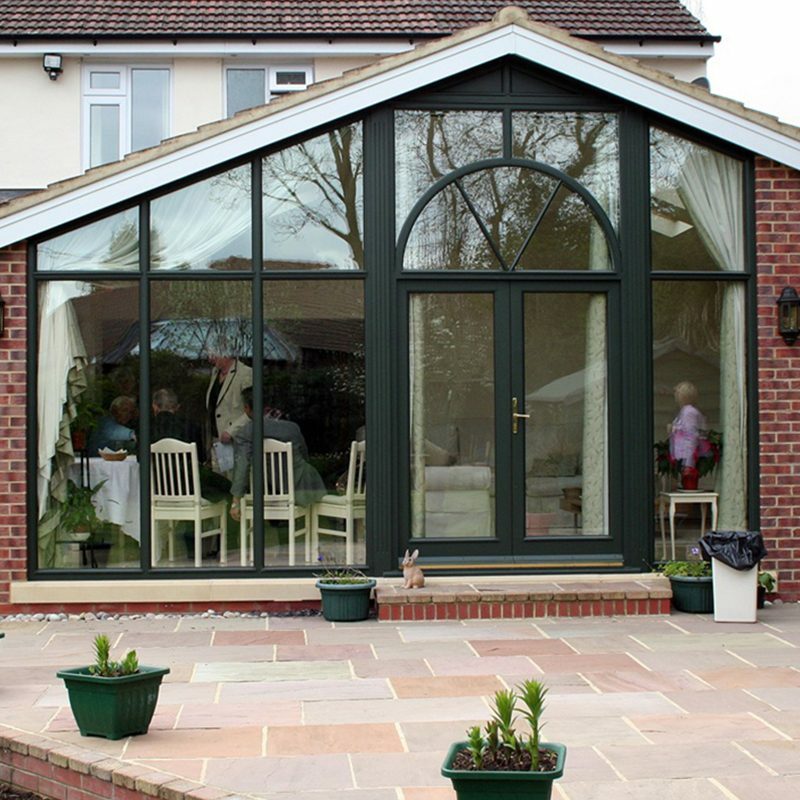 Our replacement French doors hold an outstanding energy and performance rating. This guarantees your home’s warmth remains indoors and the cold stays outside, just how it should be. 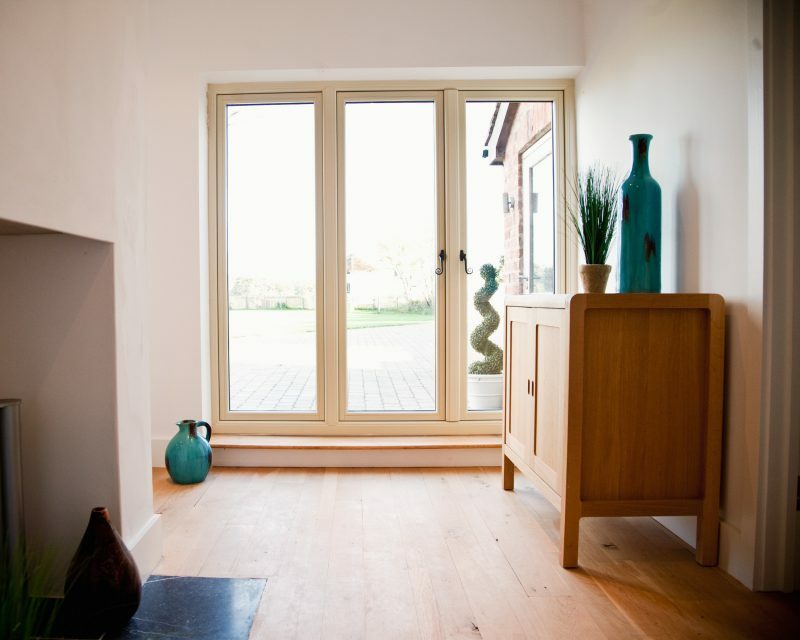 With incredible thermal efficiency benefits, our French doors can contribute to the saving on your household bills! 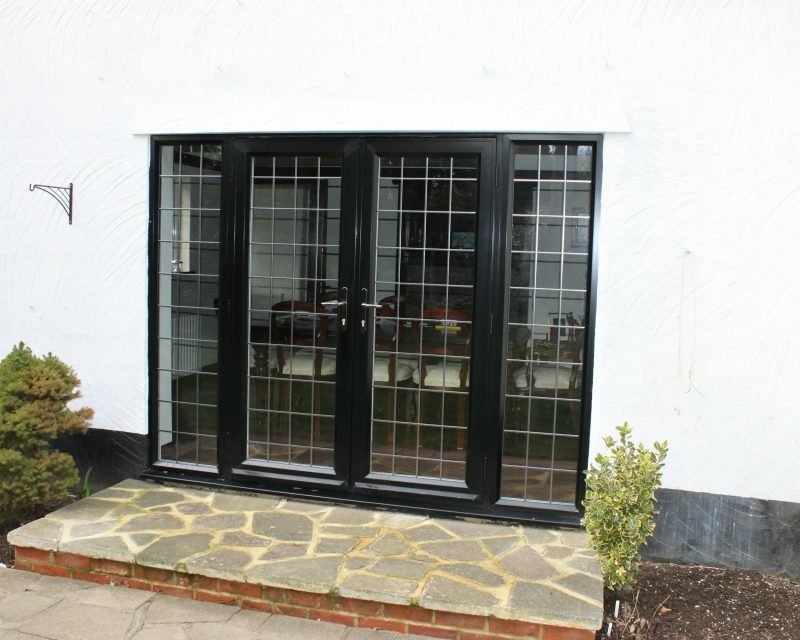 Using the latest innovative technology, our replacement glass French doors are incredibly practical and effective. We only source and install the highest quality products for maximum impact. Combining impressive thermal efficiency with sophisticated design! 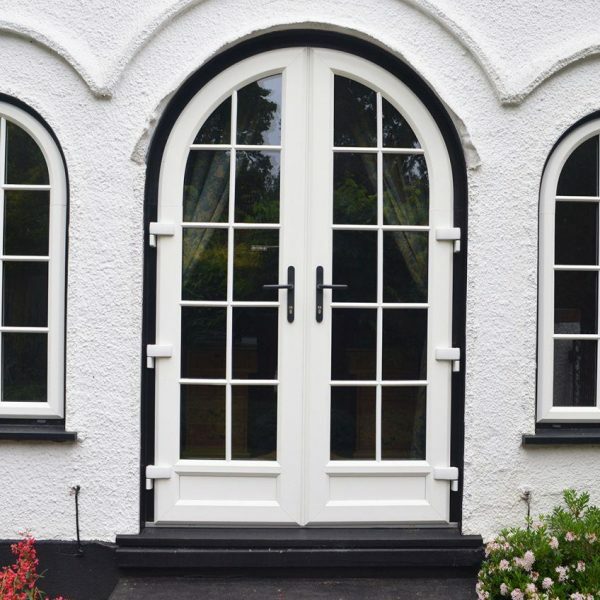 Our expert term are just a phone call away to discuss your requirements and design preferences in order to create a truly bespoke French door for your home. 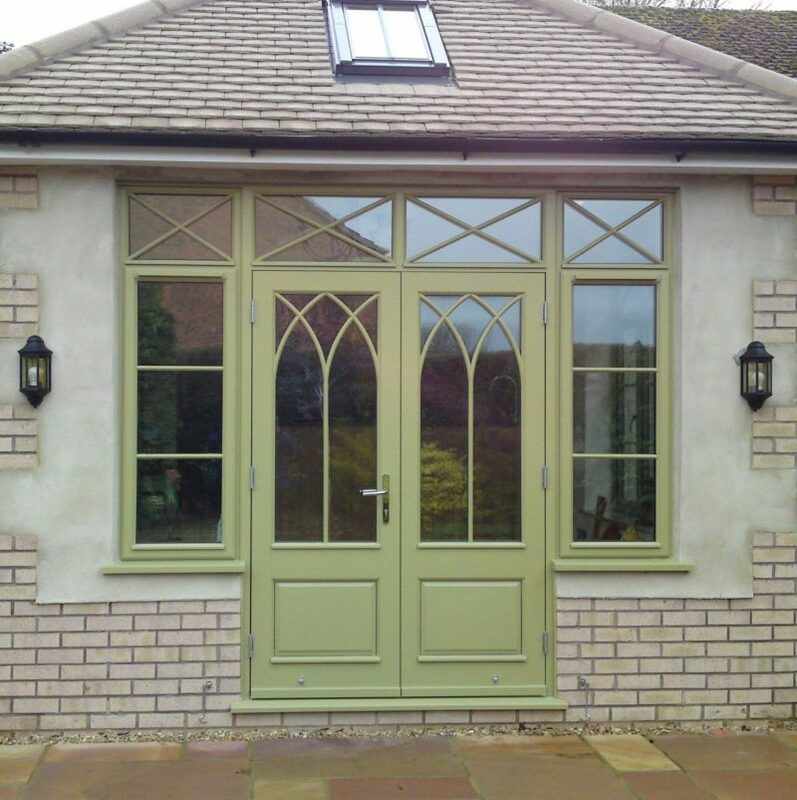 With a range of colours, styles and finishes to choose from, our French doors are suitable for properties of any style, whether traditional or modern. As with all of our installation services, we carry out a made to measure fitting service for our French doors. 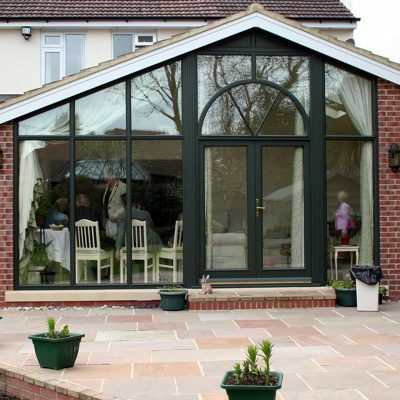 Our installers will ensure your product is installed to perform well, even for years to come. This is why we label all of our products with a 10 year guarantee! Our French door installations are constructed with durable materials, along with innovative security modifications. They’re strong, impact-resistant and reinforced with steel. Featuring security hinges, toughened glass and hook-bolts, our composite French doors will give you peace of mind that your home, possessions and family are protected. 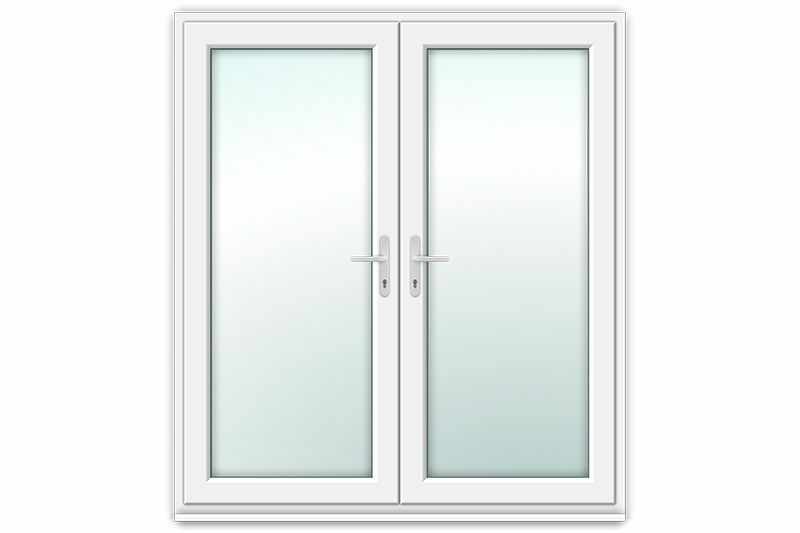 Available in single and double door configurations. 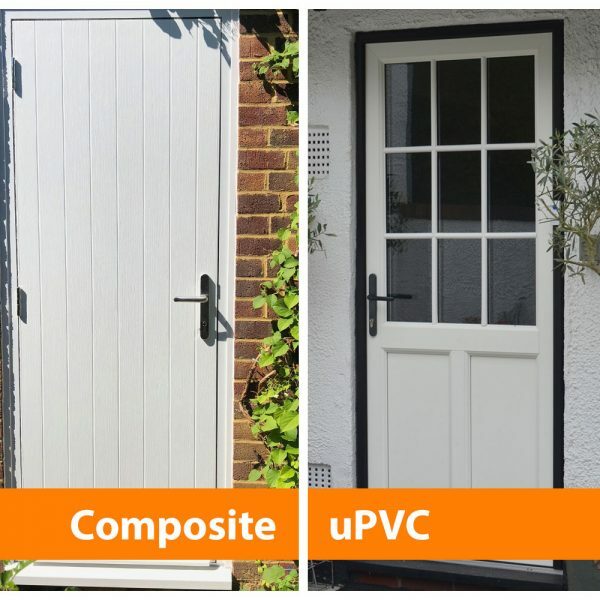 Complete range of glazing, panel and hardware options. It can be styled with Georgian bars, frosted, stained and leaded glass, along with bold-coloured frames and modern handles. With a 20mm argon filled gap, Low-E glass, a warm edge spacer bar, multi-chambered profiles and double-draught resistant seals, your French door will keep the warm in and cold out! Single or dual colour options, polyester power coating and anodised finishes. 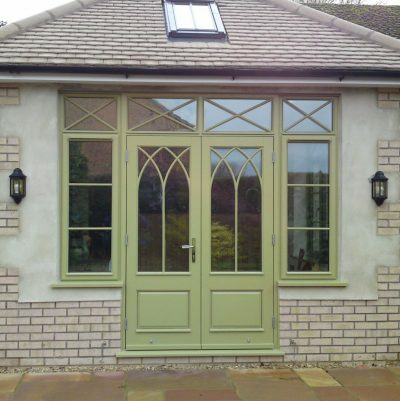 Our French doors come in a range of standard and RAL colours. 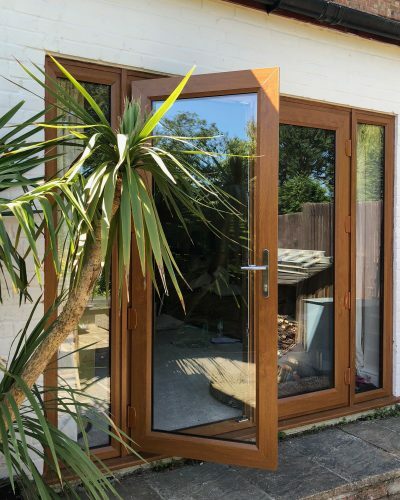 Want to know more about our French Doors? The team is ready to answer your questions and provide you with a free, no obligation quote.